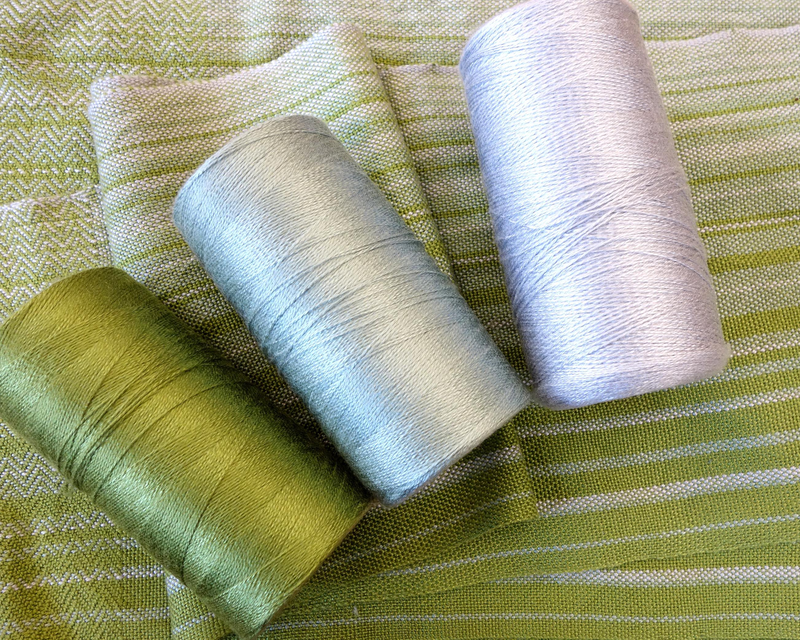 Strong, washable, and super soft, Tencel is the perfect (and affordable) alternative to silk. 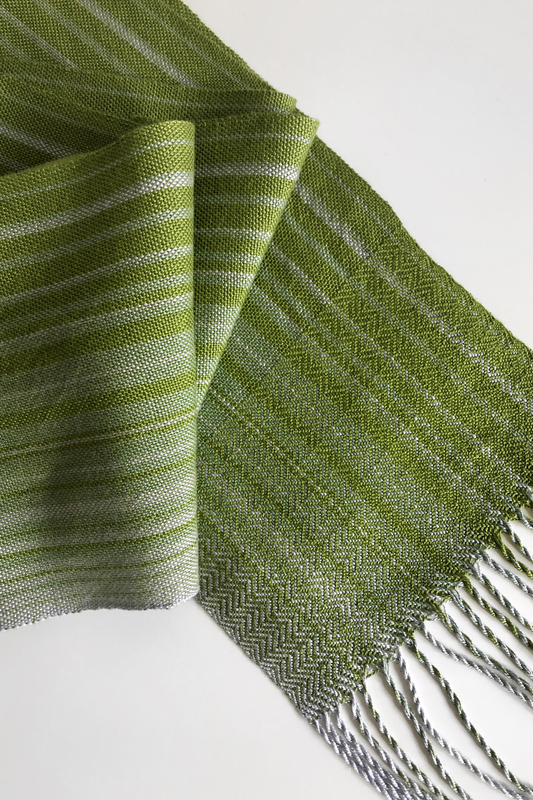 Sarah designed this beautiful weaving project using three cones of our 8/2 Tencel Weaving Yarn in complementing colors to create a soft gradient. 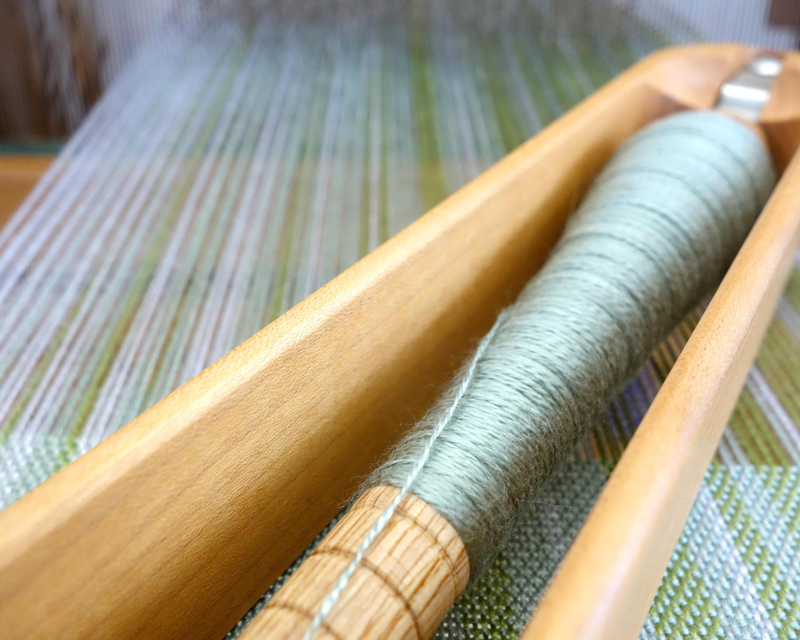 Wind a warp long enough for three scarves and try weaving each scarf using a different weft color. 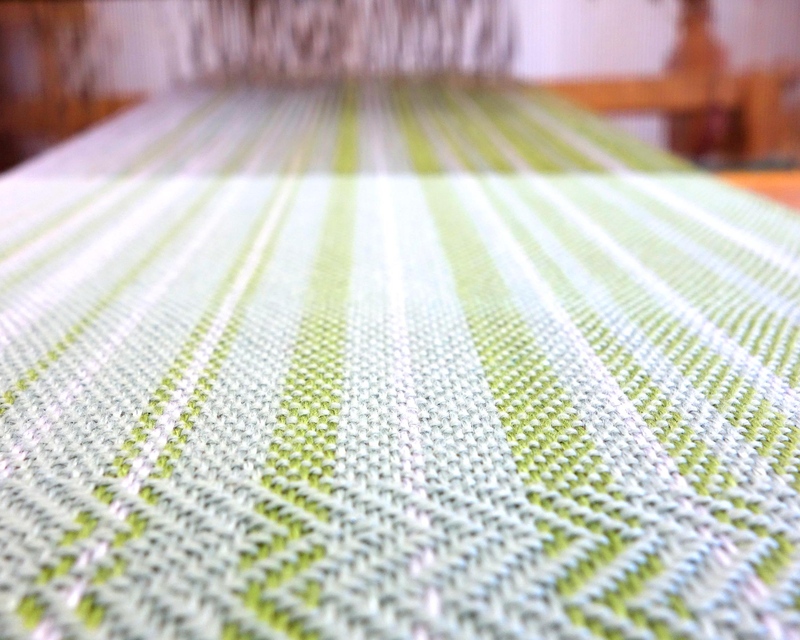 This is a fun way to experiment with how different weft colors affect the same warp. See all the project details below and purchase a kit to get started! Kits: Each kit contains enough yarn to make 3 scarves that measure approximately 7" W x 68" L + 5" of fringe on each side. 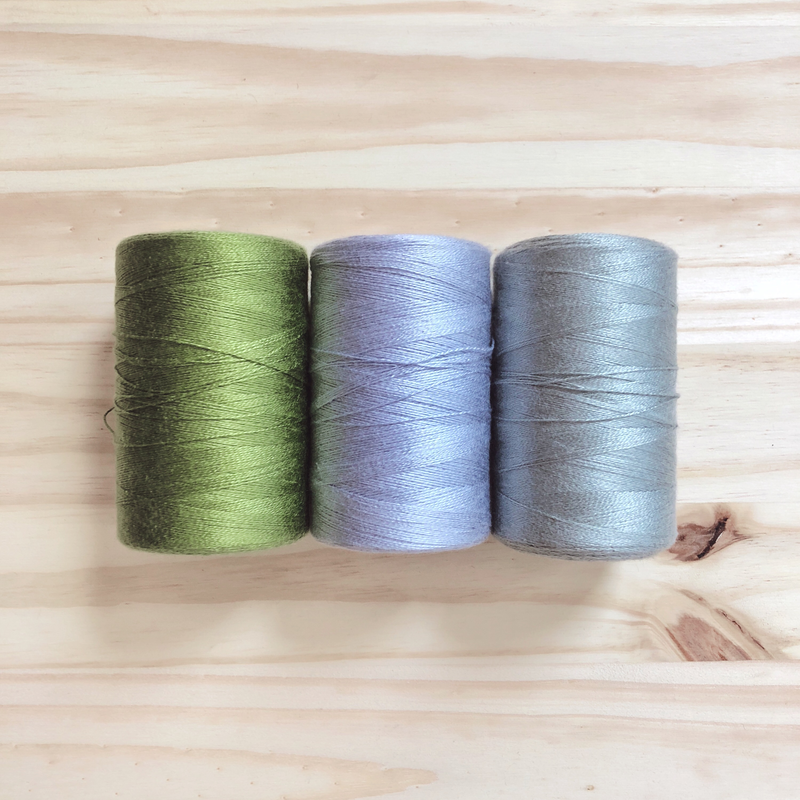 In the photos above, Color A is Silver, Color B is Sage, and Color C is Lime Green. 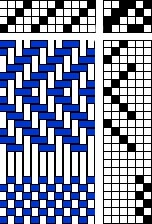 Warp Color Order: Warp the following pattern for a total of 192 warp ends. 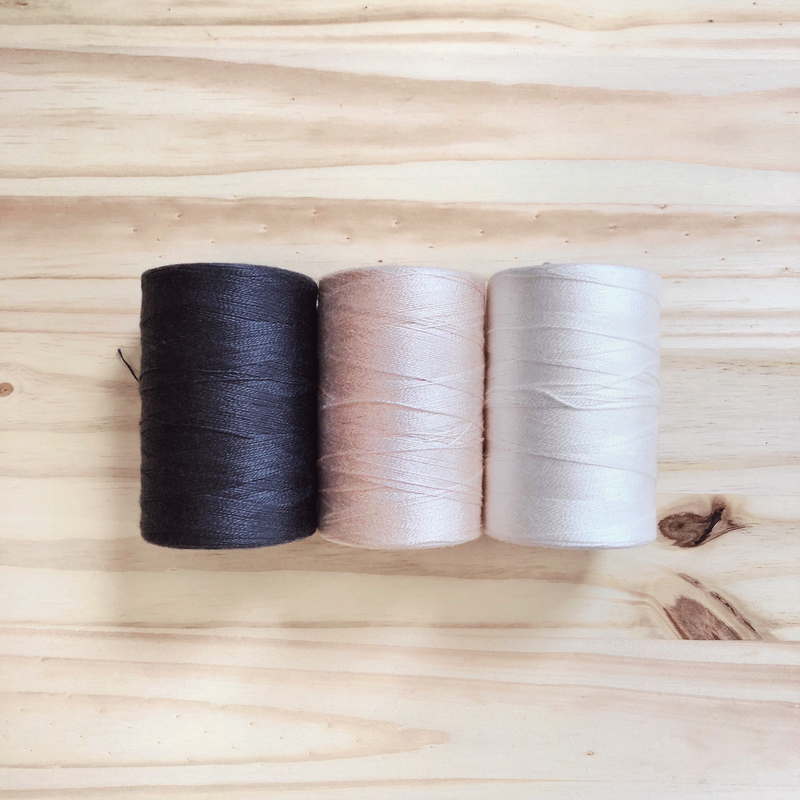 Weft Color Order: Weave scarf 1 with Color A as the weft, scarf 2 with Color B as the weft, and scarf 3 with Color C as the weft. 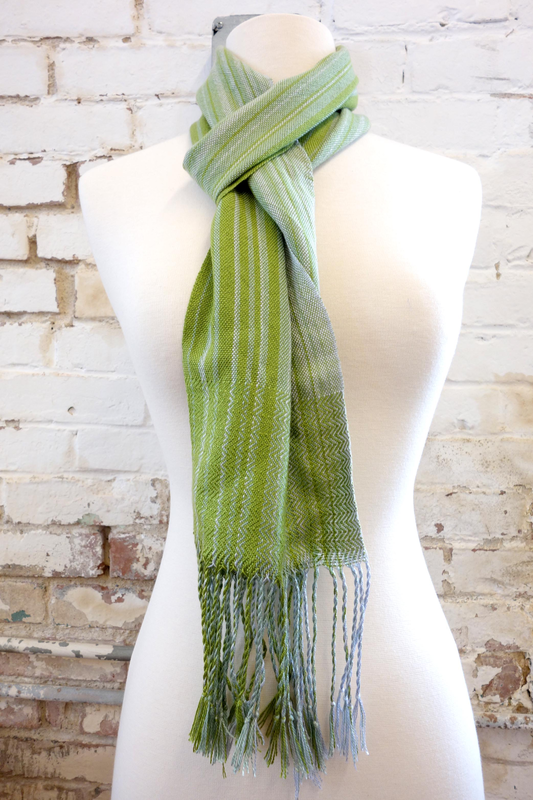 Begin and end each scarf with hem stitch (optional) and leave 12" between scarves for fringe. Pattern: Repeat the following pattern alternating twill between twill and tabby on each scarf. 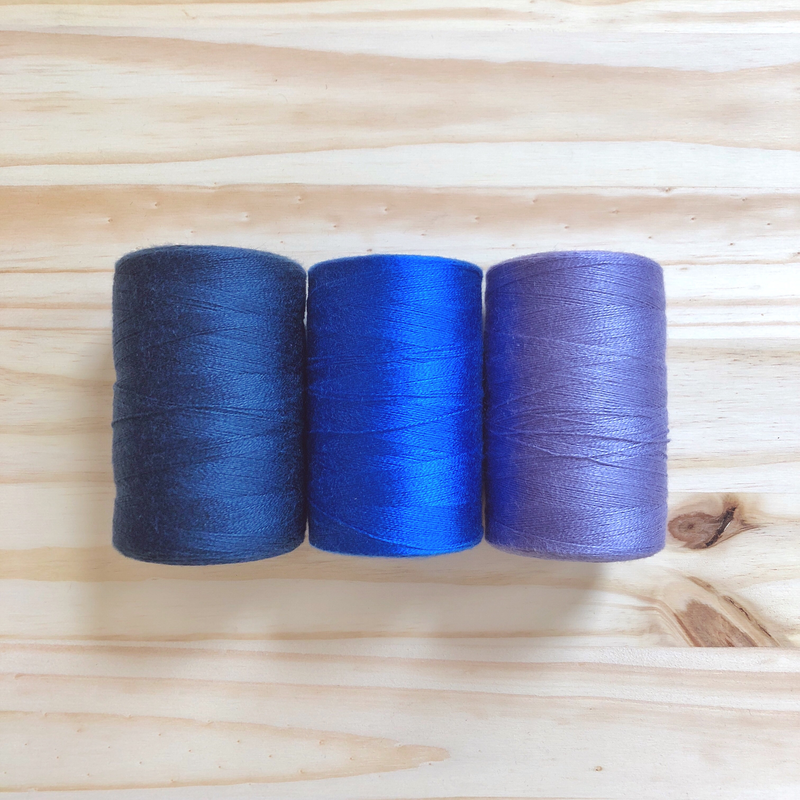 You could use this yarn for plain weave using two heddles on a rigid heddle loom! 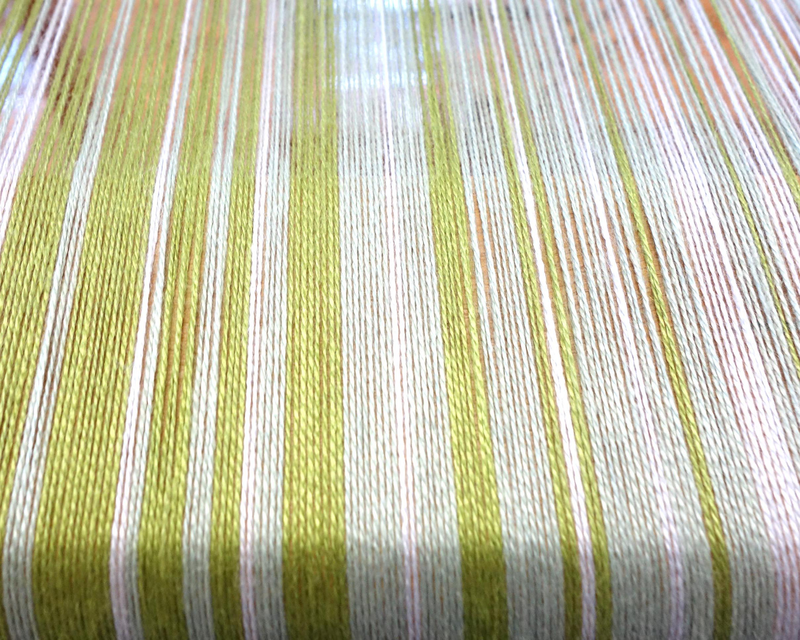 You wouldn’t be able to do the wavy twill part, but you could make a lovely scarf using tabby weave. Could you maybe do this with double heddles on a Regis heddle? Love all the colors. Is there a rigid heddle pattern?? Love the scarf and looking forward to making. I even like the green. Love the pattern. Do you have any pix of the other kit colors? Not a big green person so I would love to see one of the blue groupings.